The objective of these programmes is to motivate and help each participant to work on his/her development first as an individual and then as leader or member of a team. 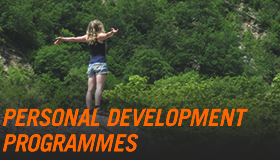 The programmes work on areas such as overcoming obstacles, development of resilience, determination, positive attitude and courage, as well as focusing on optimising the efficiency and impact of each person’s interpersonal skills. For executives or professionals concerned with long-term success in a high-paced corporate world. 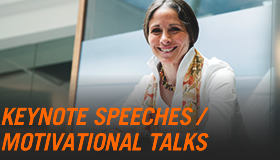 Designed to enable participants to maximise their effect and power in leadership positions. Objectives: To help participants develop their leadership skills and personal excellence, and help them achieve endurance in today’s highly stressful corporate world. To achieve continued top performance you need to both reach your maximum potential and be able to sustain it long term. Executive Burnout and Stress Syndrome is a reality. It is one of the most financially and productively damaging worries of the corporate world. 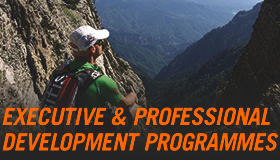 This program offers the tools to fine-tune executive development, and it also provides the knowledge necessary for avoiding Executive Burnout or similar conditions while maintaining maximum professional performance over the long-term. A combination of sessions, workshops and outdoor activities set in locations ideal for disconnecting from the stress of daily work, enabling each individual to fully focus on his/her development. All programmes are all-inclusive and take place in beautiful isolated locations. In-house versions are also available, though these programmes are more effective when held away from the usual work environment.